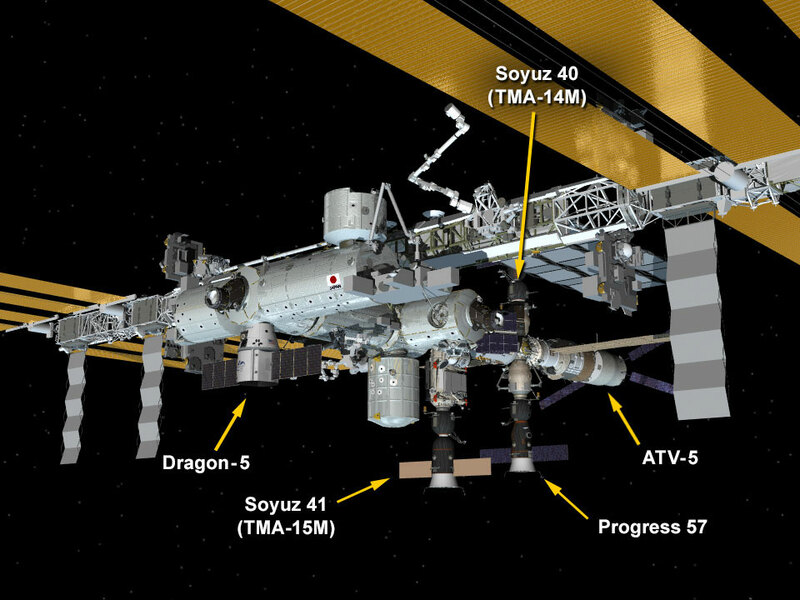 The Expedition 42 crew is getting ready for a delivery aboard the Dragon commercial cargo craft as well as next month’s departure of Europe’s fifth and final Automated Transfer Vehicle (ATV-5). The weather looks favorable for Saturday’s planned launch of Dragon aboard a Falcon 9 rocket at 4:47 a.m. EST. Dragon will arrive at the International Space Station Monday morning carrying more than 5,000 pounds of supplies, payloads and critical research. Commander Barry Wilmore and Flight Engineer Terry Virts worked on readying the ATV-5 resupply craft for it’s undocking from the Zvezda service module and departure Feb. 27. It will reenter the Earth’s atmosphere loaded with trash and discarded gear for a fiery disposal over the Pacific Ocean. Read more about the launch and docking of the ATV-5 last summer. I like the science but want to see more on what Samantha Cristafroetti an Elena Serova are doing with some pictures. I like to see the docking and undocking operation and how you do it. Space X is getting ready for a launch so if it happens there would be an opportunity to show us how. How long after docking can the flight engineers enter the vehicle? How do you know it safe to open the door? How do you eat in space and does it give you nausea?